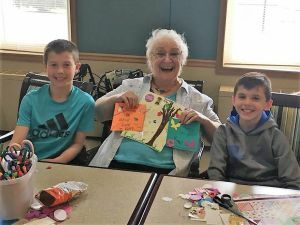 Inspired by a touching YouTube video of an intergenerational program in England, Sun Prairie mom Megan Davis started the successful Adopt-a-Grandparent program that connects Eastside Elementary children and Tallgrass Senior Living of Sun Prairie residents. 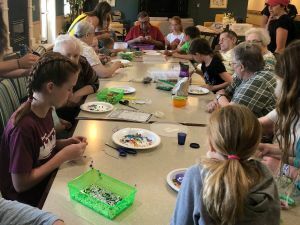 Each month, Eastside Elementary students visit their Tallgrass adopted grandparents to spend quality time building kinship through a variety of activities, such as arts and crafts, reading and life story interviews. Tallgrass residents are indeed feeling the love! 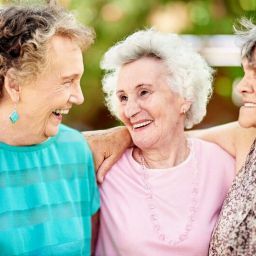 Residents say that they find the students’ energy and bubbly personalities invigorating, and they look forward to their time with the kids. 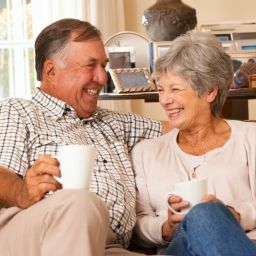 While Adopt-a-Grandparent makes older adults feel heard, valued and appreciated, the children involved benefit as well. Eastside Elementary students and Tallgrass seniors enjoy creativity and conversation. 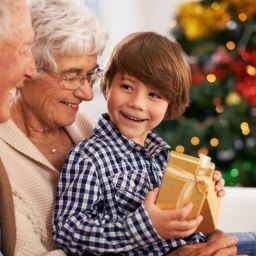 Kids, especially those without their own grandparents, have a lot to gain from spending quality time with wiser, more experienced role-models. “I truly believe the idea of intergenerational learning can be life changing and build stronger communities,” said Davis, who is keeping Adopt-a-Grandparent going strong with a variety of intergenerational activities planned for this kids and Tallgrass seniors this year. 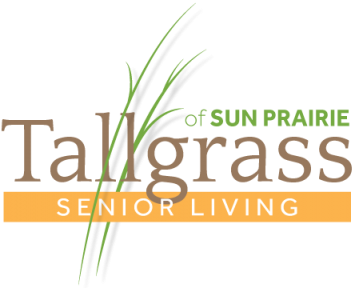 Tallgrass Senior Living, located at 605 Chase Boulevard, Sun Prairie, WI, offers independent living cottages and assisted living in a newly renovated community. 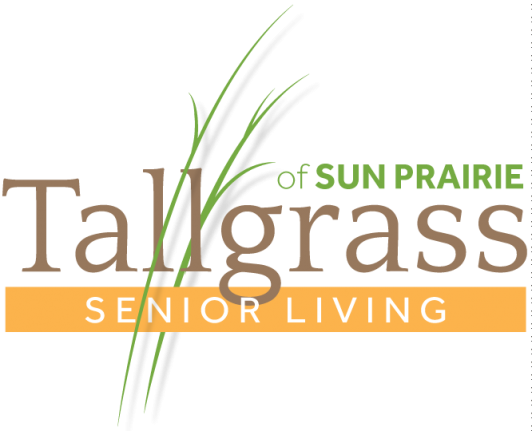 For more information about Tallgrass’s Adopt-a-Grandparent program or lifestyle options, contact Joelle Viana at 608-225-6439 or JViana@MatthewsSeniorLiving.com or visit www.tallgrasssofsunprairie.com.